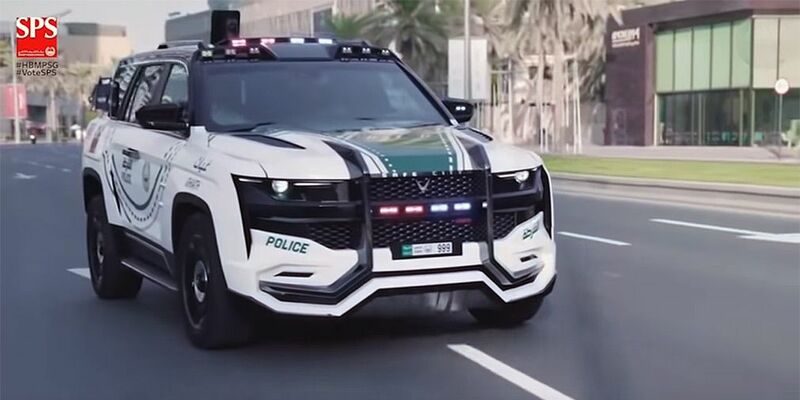 In the fleet of the Dubai police appeared special Giath SUV. Law enforcement officers call their cars as 'one of the most advanced patrol cars in the world'. For Giath, a well-thought-out complex of special systems was prepared, which included the function of recognizing the faces of the suspects and a special information and telecommunications system that connects with the central headquarters. The salon is rich in several screens that are in a place of the passenger in the front, the car allows one policeman to concentrate on driving, and the second policeman will control various systems. The patrol car is classified technically.